Cover article in the Oct 10, 2013 issue of the Ventura County Reporter is titled "Running Dry - Ventura County has a water problem." 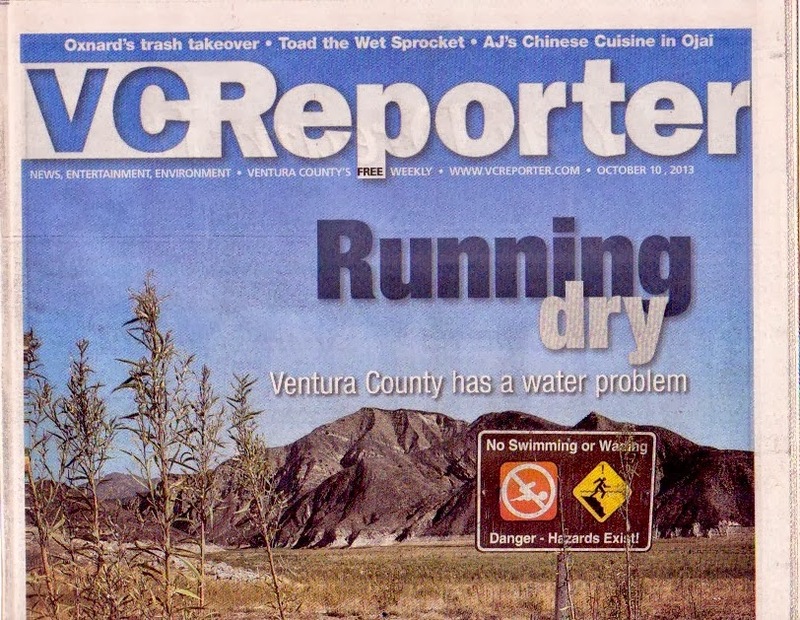 Writer Art Van Kraft takes a high level overview of some of the issues affecting local water management, and says, "Conservation advocates warn of imminent depletion of water resources." He profiles the efforts of the Surfrider Foundation to alert residents to the 'cycle of insanity' and quotes Mike Solomon, general manager of United Water Conservation District; "We are taking 30,000 acre feet more water out of the ground than we're putting in and that's not sustainable." United supplies water in the Oxnard Plain where this overdraft threatens aquifers with sea water intrusion. 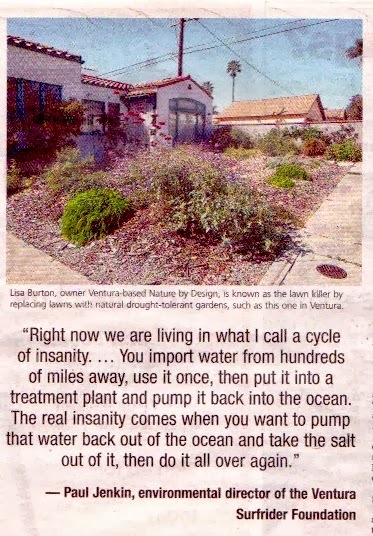 The article examines water conservation and Surfrider's Ocean Friendly Gardens partnership with the City of Ventura. 'Lawn killer' Lisa Burton describes how her garden designs eliminate water waste, saying "Lawns start to look really boring and sort of silly; so does the water bill." And Diane Underhill says straight out, "We need to stop approving future development projects."